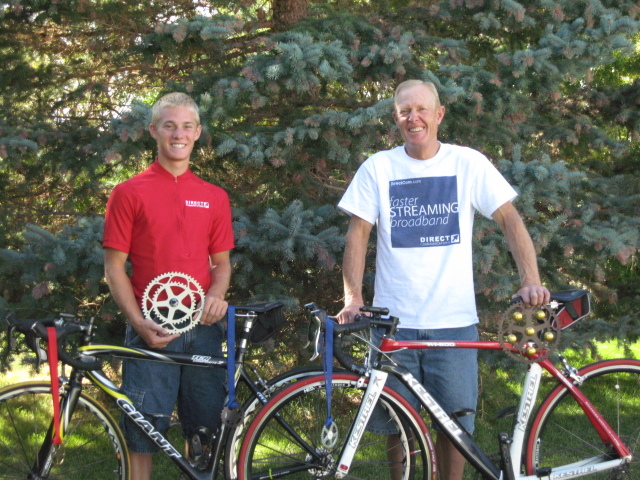 Direct Communications sponsored young cyclist, and Direct Communications customer, Trevor Mingo, in this year’s Lotoja Classic, which is the longest one-day bicycle race in the country, at 206 miles. This race runs through Bear Lake County, although it starts in Logan, Utah and ends in Jackson Hole, Wyoming. Direct Communications support of this event goes back several years as the broadband company has provided free internet service at several stations along the route. “Lotoja is by far the most difficult athletic event I’ve done. But it is also the most rewarding event I’ve ever done. I’ve had a lot of encouragement from my family, especially my Dad. It is pretty awesome to cross the finish line with him and my cousin Derek. It requires a lot of hours training. 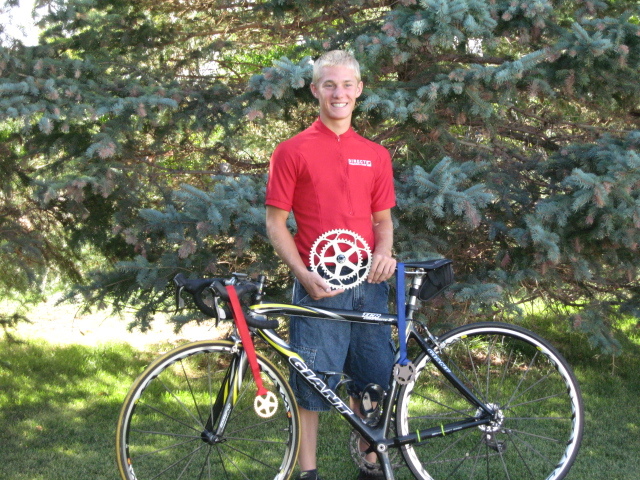 My best time was 2010 of 10.5 hours, when I finished 1st in my division. I got 2nd in 2009. This year I finished 7th. I would have done a lot better, except I had to stop to buy a new rear tire, and lost some serious race time. According to the official event website, www.lotojaclassic.com, “Lotoja is a European-style road classic that is unparalleled in distance and beauty. At 206 miles, LOTOJA is the longest one-day USCF-sanctioned bicycle race in the country. LOTOJA participants come from all over the U.S. to test their physical and mental stamina on the course that climbs and descends three mountain passes in the first 110 miles. The race starts in Logan, Utah and finishes in the shadows of the Teton Mountain Range at Jackson Hole, Wyoming. Lotoja will celebrate its 30th year in 2012. Lotoja raises funds for charity like Huntsman Cancer Foundation, ASD Connections (Autism Spectrum Disorder Connections), Teamgive (support of those suffering neurlogical disease), NAC (National Ability Center) and Common Ground (Outdoor adventures for youth and adults with disabilities).